Jean Pierre Debono, who backed Adrian Delia’s leadership bid. Adrian Delia looks increasingly likely to rely on Jean Pierre Debono to get into Parliament after his Gozo route appeared to hit a snag and declarations were made by two leading PN candidates on another district. The Nationalist Party leader is evaluating all options to find a path into the House. With hurdles being faced in Gozo, the 13th district, he may have to turn to the seventh and Mr Debono, a key ally in Parliament, for a solution. Mr Debono has so far been coy about the possibility despite openly campaigning for Dr Delia in the Nationalisty Party leadership campaign. He found himself embroiled in controversy last week after a leaked report by the PN’s Electoral Commission concluded he had collected voting documents for party members, using proxies with forged signatures. 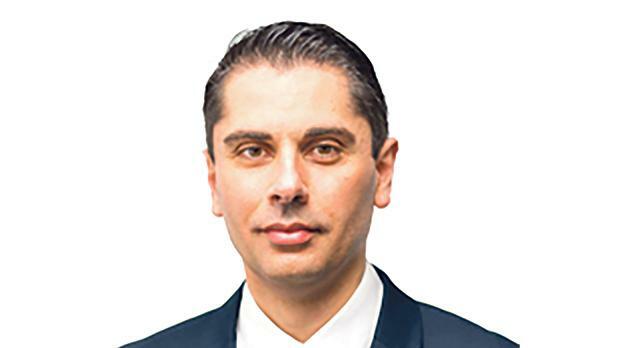 Mr Debono was elected for the first time in his political career on the seventh district, and if he resigns, a casual election will be triggered automatically. With Sam Abela and Antoine Borg, the PN’s candidates on the district who are most likely to replace Mr Debono, declaring on Facebook they would be ready to give up their seat, Dr Delia may have no choice but to turn to his prime supporter. If an MP elected in a casual election resigns, the vacancy is then filled by co-option decided by the party. The seventh district avenue has become more likely because, while Gozitan MP Frederick Azzopardi has expressed willingness to give up his seat, Dr Delia has no guarantee that the person elected in the casual election will then resign. A casual election on the 13th district is likely to see a contest between Kevin Cutajar and Kevin Mercieca. Mr Mercieca has publicly called on all candidates not to obstruct Dr Delia’s path to Parliament. However, Dr Cutajar has remained silent. Attempts to reach Dr Cutajar yesterday proved futile, but party sources said he had not even attended the PN rally in Sannat last Friday. Joe Ellis, one of the other unelected PN candidates on the district with an outside chance of replacing Mr Azzopardi has declared he would not resign if he did succeed in being elected. A third option open for Dr Delia is the fifth district, where PN MP Herman Schiavone has expressed a willingness to give up his seat, which would also trigger a casual election. But the front runner to replace Mr Schiavone is TV personality Norman Vella, who was in no mood to give a definitive answer yesterday when asked whether he would be willing to resign if elected. “The situation you are positing is hypothetical, because there has been no resignation in the district and until this very day, Adrian Delia has not talked to me about the matter,” Mr Vella said. He noted that the responsibility of office on the fifth district lay with the elected MPs Toni Bezzina and Mr Schiavone. “If in a hypothetical scenario this responsibility falls to me, I will shoulder it and make my decision in the best interest of my constituents and the party,” Mr Vella said. Dr Delia has been forced to explore the trickiest of routes into Parliament after none of the PN’s four MPs elected in casual elections – Karol Aquilina, David Stellini, Ivan Bartolo and Maria Deguara – chose to resign. With Parliament set to reconvene on October 2, Dr Delia has been left in the lurch. As Opposition leader he would be expected to deliver his keynote speech in Parliament in reaction to the Budget, scheduled for October 9. However, to take the mantle of Opposition leader, the PN chief has to be an MP.